Nice Pictures everyone!!! thank you for sharing them. Yeah those are some nice burbs. How big do you think the first one is 8lbs or so? I cought one that was about 5lbs on an 8" glow jig. 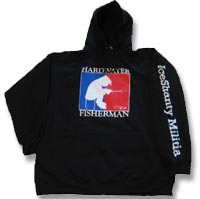 I wonder sometimes if I am fishing to big though. What size jigs are you using jake? i've caught a 12 incher on an 8 inch glow, you really can't fish too big. i seem to like to lose all my big burbot at the hole. But I imagine I have had a few 10lb fish knocked off. I have cought a couple 5-7 lbers and I could definatly tell the difference in size. Those are some hog burbot. Hopefully I can pull a few out of the icehole soon. Way to go guys and ladies those are big burbot. Thats a nice fat one WW. Here is the link to the underwater burbot footage. Watch for the second burbot in the murky distance at the beginning of the video. This second burbot investigates the lure and then the fish shaped camera and finally hits it from behind. I was actually surprised how far some of them swam off the bottom. I thought they were always belly to the bottom. I did see some other neat burbot action before I had the DVR. One time a large burbot came up to my lure opened it's mouth shook it's head at the lure and moved on. That must have been some type of intimidation display. Has anyone ever see that before? what are those fish in the sink w/ the burbs? smelt? Always wear clean underwear, cuz ya never know when the paramedics are gonna have to cut your pants off. 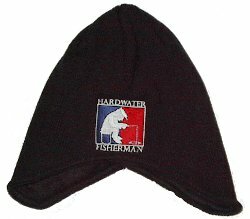 Theres only 3 seasons..open water, hunting and icefishing! Thanks WPT, I shot that footage across the lake from you at Regina Beach last winter. Dandy big burbot and pike you found that day WPT. I have officially joined the burbot catching crowd this year! Way to go Ted, looks like you guys jigged up quite a feed ! Yep, and just a few days later got the big one. Who's coming up to try and get that one we couldn't bring through a ten inch hole last year? Couple of burbot vids. Big Bay De Noc, Michigan's UP. Really great videos! 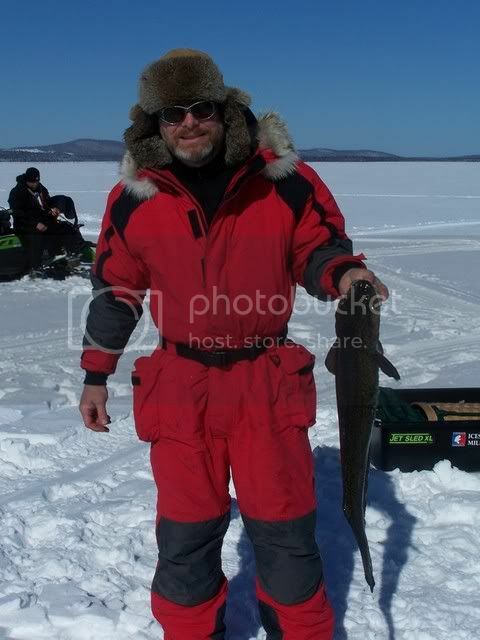 Nice catch of burbot. Nice whitefish, too. By any chance did you get him on video? Neat to watch them hit a lure. No we didn't get the whitefish on vid, he hit on the first drop of the day and we didn't have the dvr thing set up yet. Earlier in the week I caught 4 whitefish and forgot to charge the dvr Here's one from last winter though. Awesome! Would like to get into some burbuot sometime! I'll have to head north, obviously! 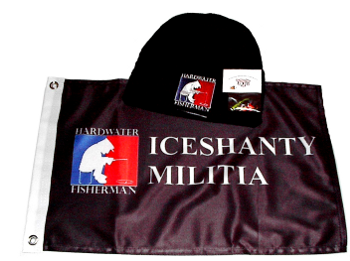 safe ice, tight lines and god bless!